Exploring Chania’s Old Town and Venetian Harbor without a guide can mean overlooking sights. 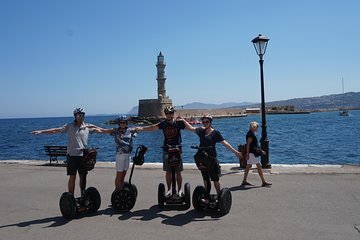 This small-group Segway tour ensures you discover all the must-sees and hidden corners without getting lost. Get instructions and ride your Segway personal transporter behind a guide along the alleyways and waterfront to view the landmarks. Learn about the sights via the audio guide and get your guide’s tips on local things to do and see.